Goose Down Starter SetGoose Down Starter Set, alt="Goose Down Starter Set, "
Available in two convenient set-ups (Essential or Dream) so you can customize your bed from the inside out. Wondering what’s included in each set? See Dimensions & Care below. 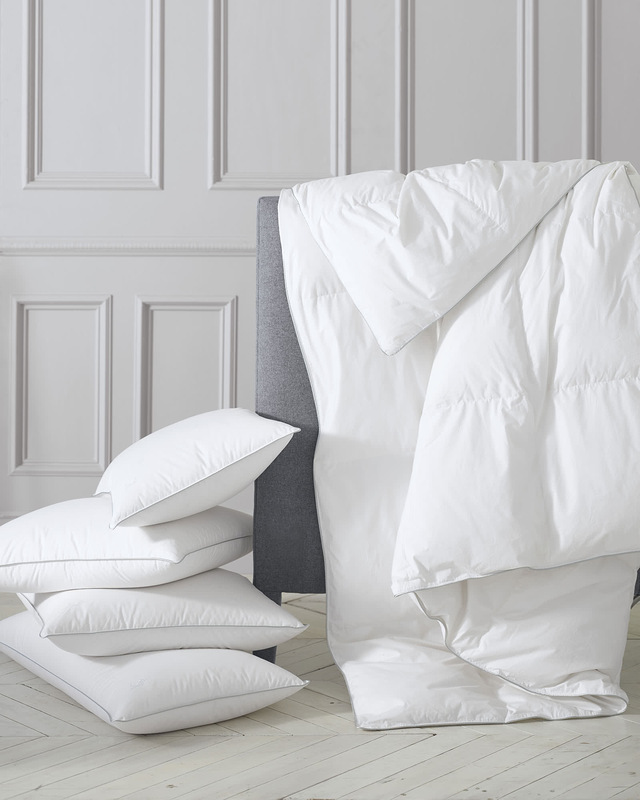 Thanks to a fill made of inviting European white goose down, our luxe duvet and pillow inserts are truly a dream. Each piece in our starter sets is Oeko-Tex certified, which means both shell and fill are free of harmful chemicals and super gentle on the skin. 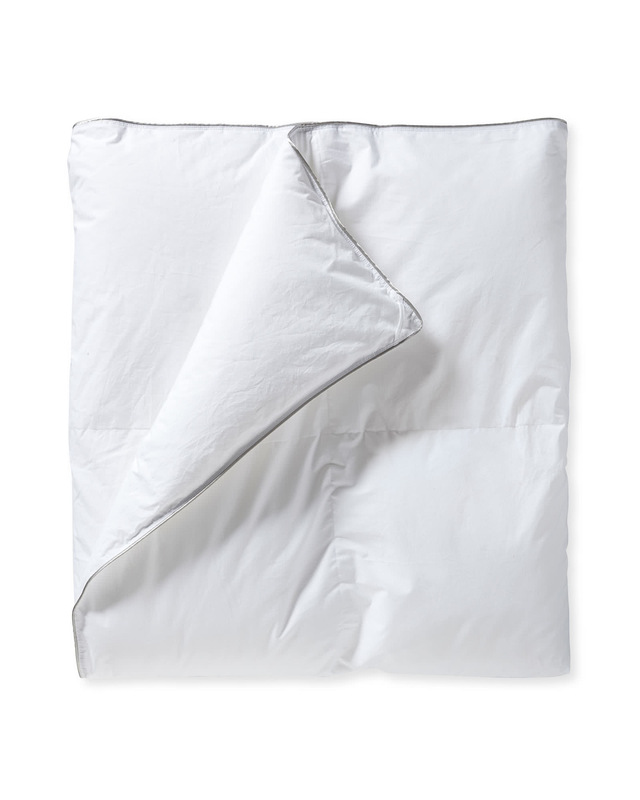 The pure cotton shells are breathable to keep you cool yet cozy, and the duvet insert’s baffle-box construction keeps the fill evenly distributed. To make building a beautiful bed as easy as can be, we’ve created two starter sets with these inserts included: Essential and Dream. Each set has 5 size options to choose from and features a comfy medium fill weight, perfect for normal to warm environments. Wondering what’s in each set? See Dimensions & Care below. Here’s how our starter sets compare. Looking for a quick refresh? This set’s for you – it comes with all the inserts essential to making a fabulous bed (minus the bedding, of course). 5 size options available. Want a totally fresh start? This set has you covered, with everything from duvet and pillow inserts to pillow protectors and mattress pads. Your dream bed awaits. 5 size options available. 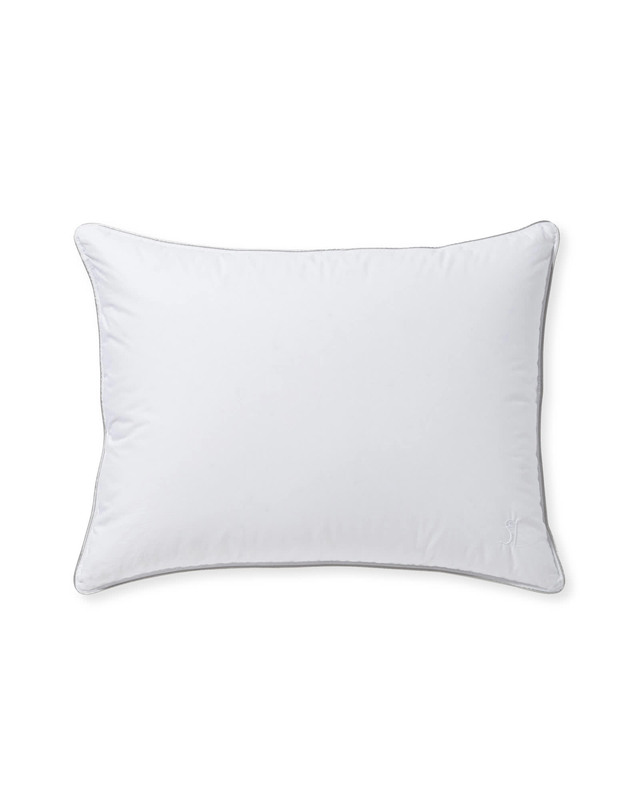 100% cotton with a 230 thread count shell. Oeko-Tex certified (the shell and fill), so they’re free from harmful chemicals. Easy to care for: Machine wash warm. Tumble dry low. Made to last with a 3 year manufacturer's warranty. Packaged in a reusable zippered bag. Feature 650-fill power and a medium weight that makes them perfect for normal to warm environments. Are Oeko-Tex certified so they’re free from harmful chemicals. 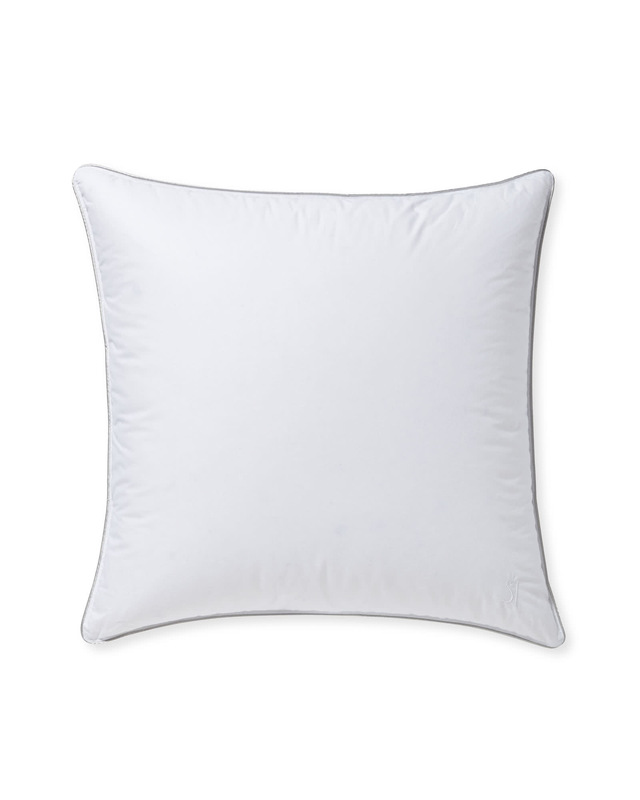 Are filled with premium white goose down. Have a baffle-box construction that distributes the fill evenly. Have loops for tying to your duvet cover and piping on the edges for a crisp finish. Are Responsible Down Standard Certified to safeguard the welfare of the geese and ducks. Are Super-Clean™, meaning the down is washed twice for a pure fill. Dimensions: Twin: 68” x 88”. Full/Queen: 98” x 88”. King/Cal King: 107” x 98”. Feature a 600-fill power and a medium density for just the right amount of support. Are 95% feather, 5% down fill. Have piping on the edges for a crisp finish. Have our monogram embroidered on the corner in white. Feature 600-fill power and a medium weight that makes them perfect for normal to warm environments. Are hypoallergenic, anti-microbial, and moisture-resistant with ultra-thin fibers that create the down-like fill. Are easy to care for: Machine wash warm. Tumble dry low. Dimensions: Twin: 39” x 75". Full: 54” x 75". Queen: 60” x 80". King: 78” x 80". Cal King: 72” x 84". Are 100% cotton sateen with a zipper side closure and piping on the edges. Dimensions: Standard: 20” x 26". King: 20” x 36".